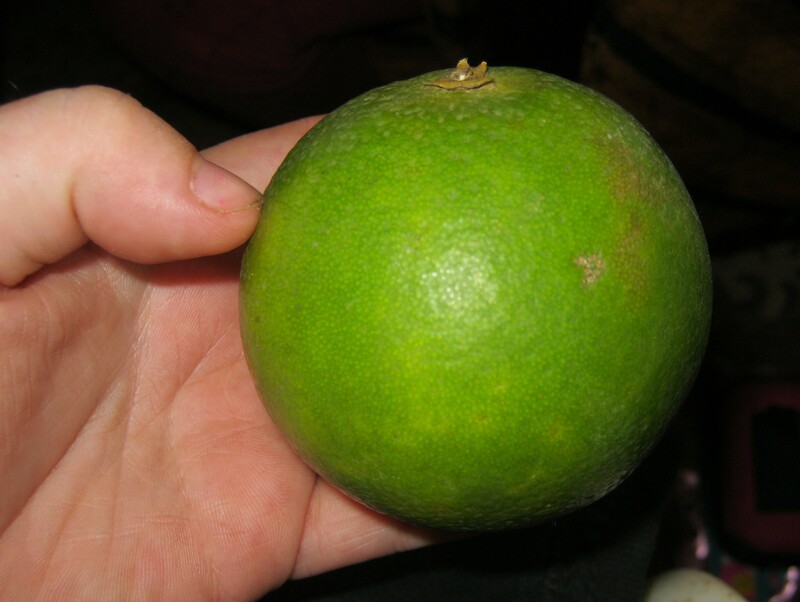 While in The Gambia I ate some oranges with green skins. I was surprised when I first saw them because I had always assumed that oranges are orange. In the English language, the colour orange was even named after the fruit. So why are the skins of some oranges green? Oranges and other citrus fruits—e.g. lemons, limes and grapefruits—have been cultivated for a long time. The sweet orange (Citrus sinensis)—the variety we most commonly eat or make into juice—does not exist in the wild but is actually a hybrid of tangerines and the pomelo or “Chinese grapefruit” from South-East Asia. 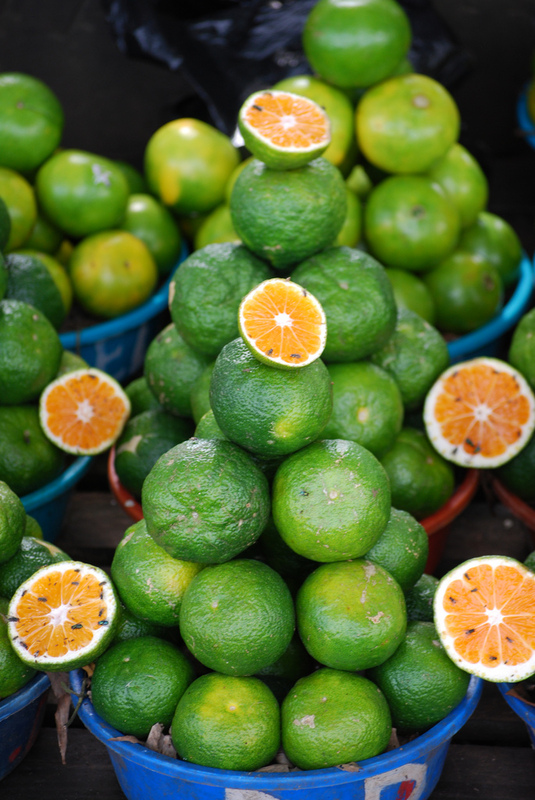 Oranges (Citrus sinensis) growing in tropical countries have green skins and orange flesh. Image Credit: Christian (taken in Cameroon) via Flickr CC BY-NC-ND 2.0. The flesh of an orange is generally yellow or orange, but the colour of the skin depends on where it grows. Orange trees grow well and produce fruit in temperatures ranging from about 15 to 30 °C. In more temperate climes, the green skin turns orange as the weather cools down in the autumn. This is because the green pigment chlorophyll is removed from the fruit, similar to what happens when the leaves of deciduous trees turn brown in the autumn. However, in tropical climates—like The Gambia—it is always hot so the chlorophyll is preserved and the skin of the oranges remains green. Oranges and other citrus fruits are rich in Vitamin C, an important nutrient that we cannot make ourselves. Some enzymes in the body need Vitamin C to be able to work properly, including the enzymes that make collagen, a structural protein that supports tissues and organs. A deficiency in Vitamin C can lead to a condition called scurvy, which produces symptoms including tiredness, joint pain, swollen gums, heart problems and, in severe cases, death. Scurvy was a common illness in sailors on long voyages because they had poor diets lacking in fresh fruit and vegetables. In 1497, the Portugese explorer Vasco de Gama almost lost most of his crew to scurvey while at sea, but when they landed on the East Coast of Africa and ate some oranges, the crew miraculously recovered. From then on, De Gama would send for oranges when his crew got sick, but it seems that he kept knowledge of the cure to himself. It was the mid-18th Century before it was widely known how to cure scurvy. While working as the Surgeon’s mate on HMS Salisbury in 1747, James Lind realised that citrus fruits were an effective treatment for scurvy. Eventually, the information filtered through the hierarchy of the British navy and when Captain Cook sailed around South America to New Zealand and Australia in the 1760s he was able to keep his crew healthy by feeding them citrus fruits and sauerkraut (pickled cabbage, also contains Vitamin C). A variety of orange called the blood orange grows in several Mediterranean countries, including Italy. Their flesh is much darker in colour than a normal orange due to the presence of anthocyanins, which are reported to have health benefits due to their anti-oxidant properties. 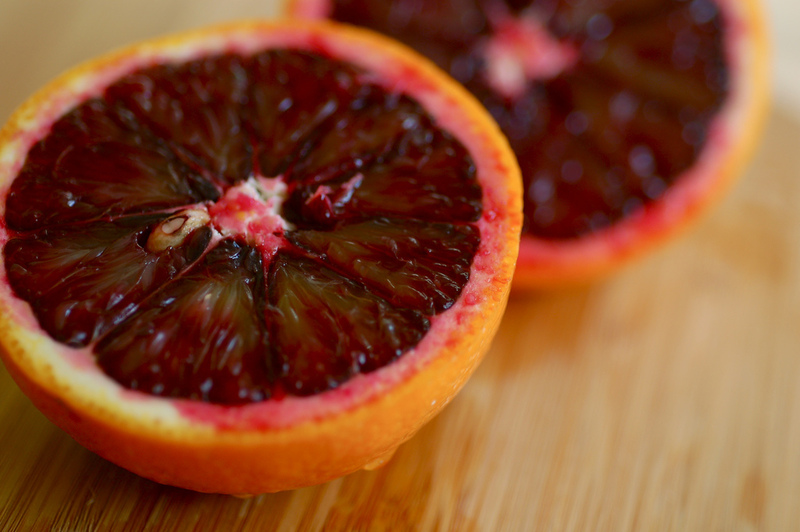 The dark flesh of the blood orange only develops in regions with climates similar to the Mediterranean where the weather cools down in winter. So, although the colour of the skin and flesh of your orange won’t tell you whether it is ripe or not, it may give you a clue where it may have come from. Orange is the Organism of December here at PlantScientist. Visit the Organism of the Month page to see previously featured organisms. Laws, B (2010). Fifty plants that changed the course of history. David and Charles. Thanks for an interesting read, Sarah.